Founded in 1832, Skullyville was one of Oklahoma’s oldest, most important towns. Throughout its brief but turbulent existence, Skullyville served as the capitol of the Choctaw Nation, was a key stop on the renowned Butterfield Stage Route, was ravaged by the bloody Civil War, and was known as a cultural and educational center. Located just three miles to the east of Spiro, Oklahoma, virtually nothing remains of this once bustling pre-statehood town. Besides the old Skullyville cemetery, visitors to the old Skullyville site are left only with faded stories. Even though all that remains of Skullyville are ghosts of a bygone era, it is an area rich in history and laced with legends. Tales of buried gold abound, while the bones of displaced soldiers creep through the crowded woods at night. Visions of the optimistic traveler as they begin their journey from Ft. Smith towards the untamed lands of California seem to encroach on reality. Still, this historic site captures the energizing spirit of Indian Territory. This is the story of Skullyville. Home of the Ainsworth family of Skullyville. This building would have been very similar to the Skullyville Choctaw Agency Building. Two years after the Indian Removal Act was passed, the Choctaw Indian arrived in the area around Skullyville. The name of Skullyville is derived from the Choctaw word, "iskulli" or "iskuli," which meant “money” in the Choctaw language. Originally, this town was the place where annuity payments were collected. Almost overnight, the town boomed into existence. The government activities soon attracted commercial interests into the town. 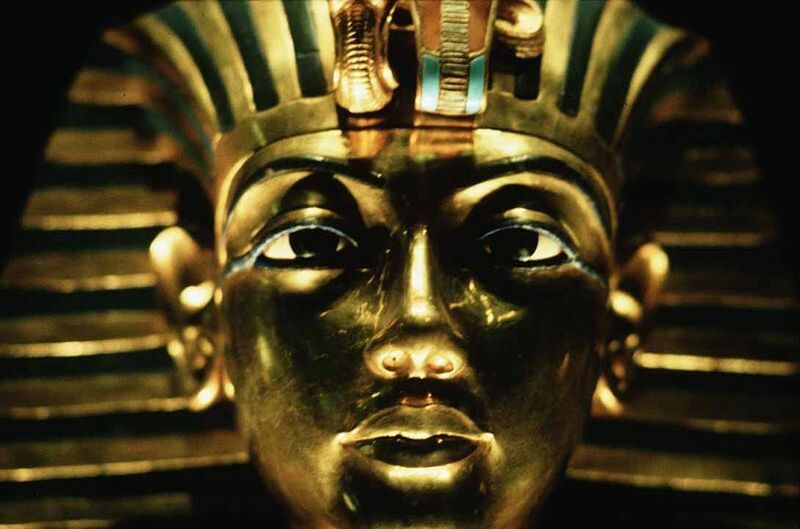 Goods from the east were brought in as more stores sprang into existence. While most of these goods were purchased with gold, Indian blankets, handicrafts, and pelts and furs, and even livestock was accepted. This all began when Major F. W. Armstrong, who became the first Choctaw agent in the West, ordered an Agency building to be erected about fifteen miles west of Fort Smith and a few miles from the Arkansas River. The land was fertile, and several springs in the area furnished an abundance of water. The first agency building provided the location for the town of Skullyville. The building was substantially constructed, consisting of three hewn log rooms resting on a foundation of solid stone. The main building consisted of three large rooms, an expansive hallway, and a full-length porch. Once erected, the logs were covered over with small pieces of wood and then plastered with mud. 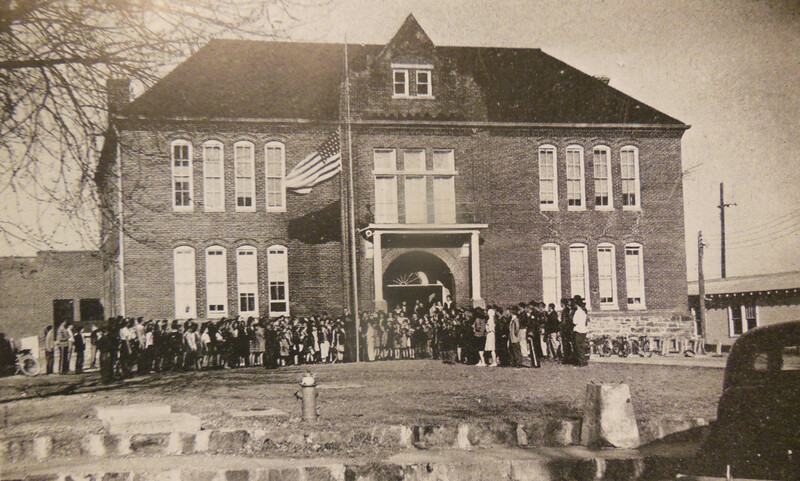 In accordance with the treaty between the Choctaw Indian and the United States Government, annuity payments were issued on a regular basis from this building. Boats carrying wooden barrels filled with gold coins would float up the Arkansas River until they reached the landing where they were then carted the remaining miles to the old agency building. These kegs were “often left in the yard or on the front porch of the Agency, day and night without guard.” As the Choctaw honor code was so strong, not a single coin came up missing when payment day arrived. In 1834, just two years after the founding of Skullyville, Fort Coffee was established nearby on the Arkansas River at Swallow Rock. The chief purpose of establishing a military fort at this particular place was to try to break up the whiskey traffic on the river. During those days, alcohol was prohibited in Indian Territory. Fort Coffee also served a large role in policing the Indian Territory, as outlaws frequented the land and volatile Indian groups raided the few white settlements in the area. In 1845, the fort was abandoned almost ten years after it was established. After the fort was abandoned, it became the Fort Coffee Academy for Boys and operated until the Civil War. In 1845, the Methodist New Hope School for Girls was established a mile east of Skullyville. This was a companion school to Fort Coffee Academy. The New Hope School for Girls ran until the Civil War, then reopened in 1871 and operated until 1896. With all of the development around Skullyville, the town quickly gained a high reputation for being the political and social center of eastern Oklahoma. Known also as Old Town and Oak Lodge, Skullyville eventually became the capital of one of the three districts into which the Choctaw Nation was divided. This happened in 1857 when a massive convention for the Choctaw Indian was held in Skullyville. During this convention, the Skullyville Constitution was written and adopted. This constitution united the several different factions of the Choctaw Indian and established a stable government for the Choctaw Nation. By the spring of 1849, thousands of gold prospectors had made their way across the country in one of the largest gold rushes in American history. As more people flooded into the west, a more efficient means of communication had to be developed. In 1857, the Butterfield Overland Mail Route was established. The Butterfield Overland Mail Route was a stagecoach route that served as the main conduit for U.S. mail services. 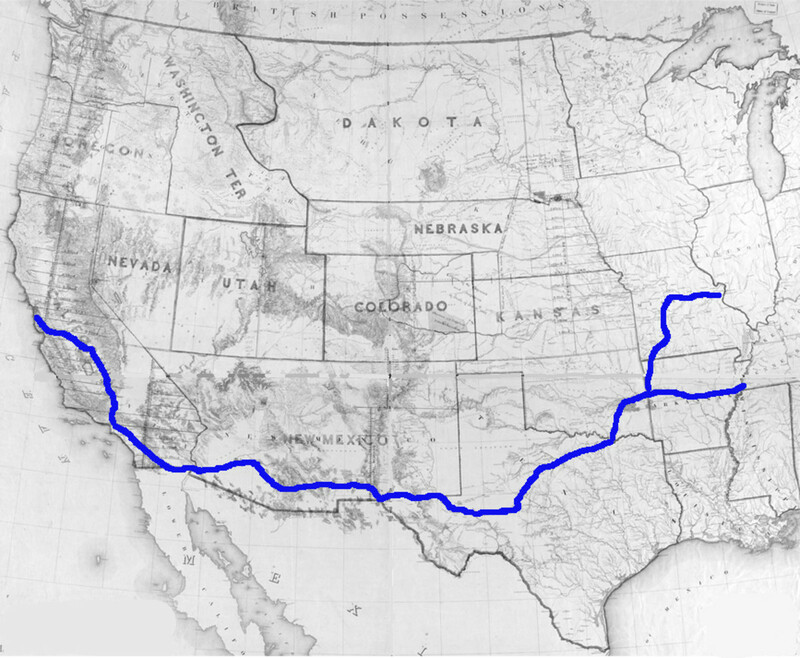 Originating in Memphis, Tennessee and St. Louis, Missouri, the two main trails converged at Fort Smith, Arkansas. From Fort Smith, the Butterfield Overland Mail Route continued through Indian Territory, New Mexico, and Arizona, ending in San Francisco, California. Once the trail entered Indian Territory, it generally followed the already established California Trail. Skullyville was the first stop in Indian Territory on the Butterfield Overland Mail route. Located east of town, the Butterfield station was the residence of Choctaw governor Tandy Walker. This station became known as the Choctaw Agency-Walker Station. Historically, Skullyville always served as a gateway to the far west for both Indian and white migrants. In 1838, a large number of Chickasaw Indians passed through the town on their way to new western homes in Indian Territory. Around 1848, a few Seminole groups used the Fort Smith-Boggy Depot road that passed through Skullyville. Large numbers of forty-niners used the same road on their way to California during the 1850’s. As this road was already established, it was a natural choice for the Butterfield Overland Mail Route. During this time, Indian Territory was still known as part of the Wild West. 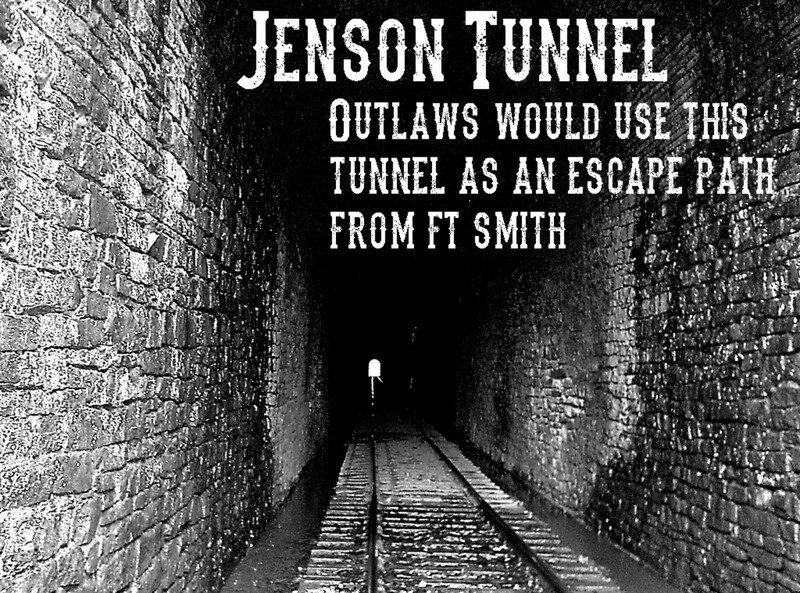 Criminals and outlaws frequently traveled throughout Indian Territory. Because of this, wagons traveling over the Butterfield Overland Mail route typically hired several guards to protect the wagons valuable contents. Let Old Skullyville be remembered long as the principal town of the Choctaw Nation before the coming of the railroads, for here were some of the flower of the tribe; a set of people who always stood for honesty, education and the general welfare, whose men were always noted for their hospitality and generosity, the women for their charity and purity of character. The decline of Skullyville began with the American Civil War in 1861. As many of the wealthy inhabitants of Skullyville owned slaves and were closely associated with the southern states in many ways, it came as no surprise when most of the town residents rallied to the Confederate cause. Being a fervent Secessionist, Tandy Walker aided Agent Douglas H. Cooper to organize the First Confederate Choctaw-Chickasaw regiment at the beginning of the war. Towards the end of the war, Skullyville became a Confederate outpost, serving as the main point for the South's western supply line. At the same time, Douglas H. Cooper was promoted to brigadier general, and Tandy Walker became a colonel. Walker served throughout the war with some distinction. 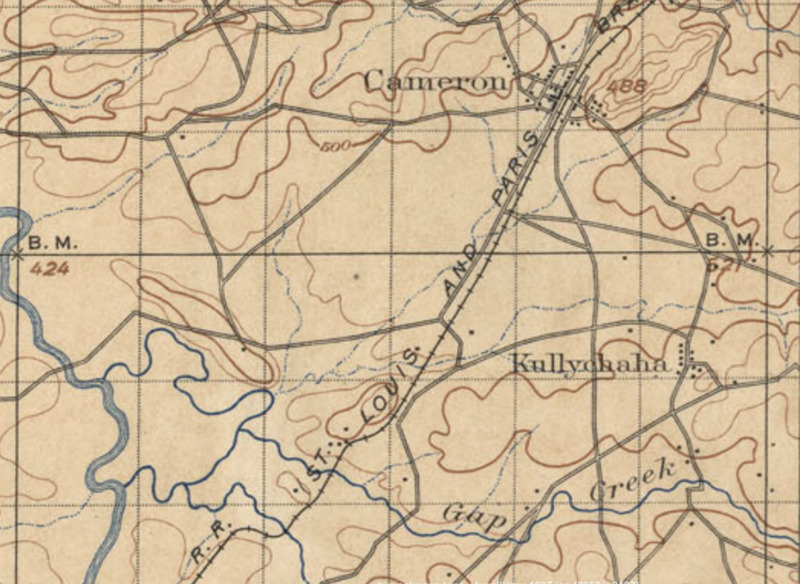 Since Skullyville was such a major supply stop for the confederates western supply line, it came under constant attack by the Union forces. With each attack, the town suffered. Buildings were destroyed as residents fled to safety. At the end of the American Civil War, Union forces finally captured Skullyville and devastated much of the remaining town. Fort Coffee Academy, which was operated until the war, was one of the more prominent structures burnt down by the Union forces. After the Civil War, Skullyville barely hung on. Very few of the old buildings had been rebuilt, and many of those that had were abandoned. The final blow came when the Kansas City Southern Railway bypassed Skullyville in 1895. Just ten years earlier, there were 719 individuals left. Within just a few short years, the once prosperous boomtown was turned into a ghost town. Many of those who lived in Skullyville migrated to the west into Spiro. The town continued to serve as a stage stop for a number of years, and even though a Freedmen’s school was opened in the 1870s, it wasn’t enough to keep the town alive. In 1917, the Oak Lodge post office was shut down, leaving Skullyville to the pages of history. The Skullyville cemetery still stands as a testament to those who have faded into the mists of time, as well as those influential leaders who would mold and shape the future state of Oklahoma. Among those listed in the old Skullyville cemetery is Tandy Walker, and the McCurtain family. Many of the graves in this aged cemetery remain unmarked. Those graves that are marked bear the testament of time and date back to the 1830’s. Chiefs, wealthy businessmen, traders, and explorers are buried in this peaceful place on the edge of the Arkansas River. The monument that marks the grave of Edmund McCurtain echoes the sentiments of those other early day settlers: "He was kind and generous as the brave only be. When the years have come and gone and the Choctaws be few, this stone shall mark the place of one of the purest, bravest and most patriotic sons of that nation." The dog-trot building above was the home of John Garrett Ainsworth and his family. The photo dates from about 1892. 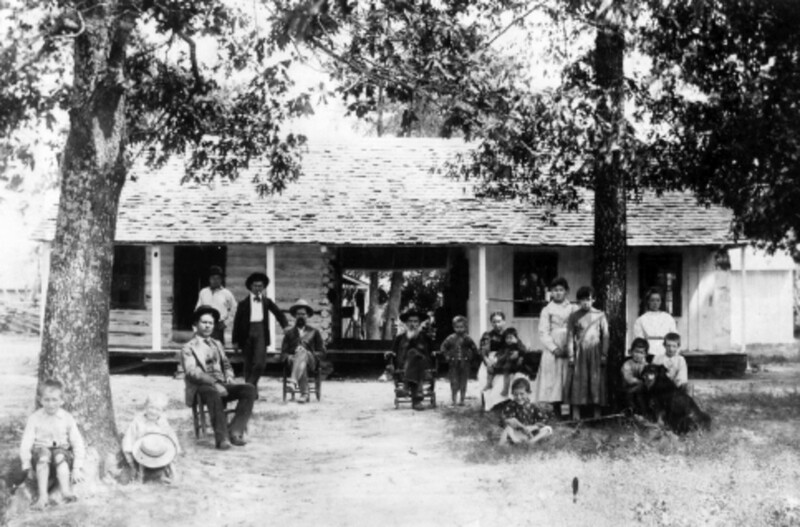 The house was built about 1868 after John Garrett and his father, David Spence Ainsworth and other family members moved to Indian Territory from Mississippi after the civil war. The little boy at the far left (sitting by the tree) is my great-grandfather, Thomas Milton Ainsworth, born 1884-1954. Tandy Walker took possession of the other dog-trot building, which was the original Choctaw Agency building and made it his home. After his son, Henderson Walker, killed Robert McCurtain in 1874, Tandy Walker sold the Agency building to T. D. Ainsworth. T. D.'s son, Thomas Garrett Ainsworth, was living in the old home when it burned in 1947. 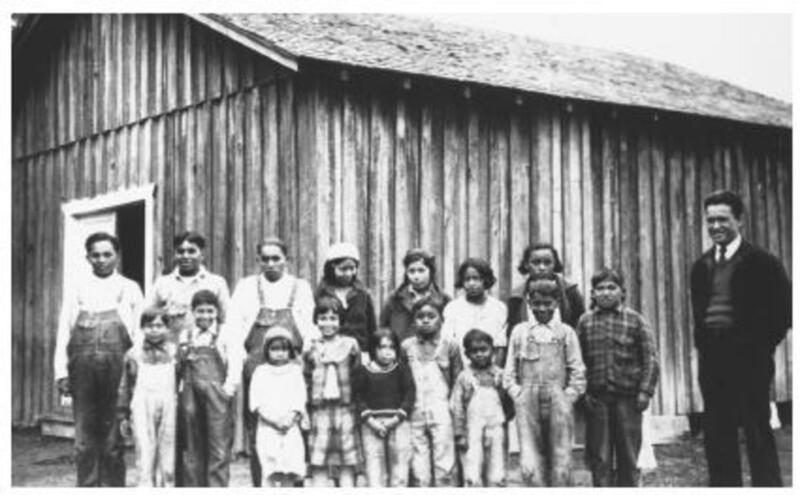 The confusion [on the building be labeled as the Choctaw Agency] probably arises from the fact that my Ainsworth relatives often named their children after other members of the family, and their wives sometimes had the same first names,and they sometimes married their first cousins. For example, T. D. Ainsworth's wife, Martha Ann Ainsworth, was his first cousin and was the daughter of David Spence Ainsworth. T. D. Ainsworth was the son of John Garrett Ainsworth 1818-1886 and Martha Brashears. So we have two John Garrett Ainsworth's in the Ainsworth group. One is the uncle of the other. Cornelia Ainsworth, her husband Will Lewis, and their family lived in the old home pictured above for many years. J. E. McKinney and/or family members did own this property a few years ago. I don't know if any of the original building exists today. The Choctaw Agency building was located to the northwest of the above house, about a quarter of a mile down the road by the (still running spring) that has been in use since about 1828. The spring is the reason that the Agency building was so located. T. D. Ainsworth came into possession of the old Choctaw Agency building about 1877 (the year of Tandy Walker's death). T.D. 's wife was Martha Ann Ainsworth. Mr. Atchley stated that he received this information from his uncle and family historian, Milton Ainsworth Stephens of Spiro. Richard Blanton the Davis James I beleive your referring to was actually Charlotte Lotty Colbert's Husband he's a great grandfather of mine way down the line from what I've researched. This comment is for Regina Langham who posted about 6 months ago about headstones for Davis James and Ta-ma-le-ho. First, did anyone help you on relocating the headstones? Second, I had been helping my sister research her 1st husband's family who have several Davis James' in their line. I know there is a David James buried in the Skullyville Cemetery in a "crypt" . . . do you know any information regarding the two individuals? Contact either Spiro city hall or Spiro Mounds Archaeological Park. They will be able to direct you from there. Winston Bourne, the information came from a wide variety of sources. Some of it came from places such as the Chronicles of Oklahoma and other articles published by the Oklahoma Historical Society. This provided the framework of the story. There's a lot of excellent interviews with The Pioneer Papers. These were interviews of old-timers who lived during that era. I've also studied many of the original interviews that were on reel-to-reel. The Choctaw Nation has a lot of great material in their archives. As well as the national archives in Ft. Worth. Some of the interesting tidbits came from early day publications, actions taken by congress, and other legal sources. Hope this helps! There was a lot that I wanted to include in this article but didn't have the space or couldn't verify it more than three times. With a bit of digging, there's still a lot more information out there. I am a descendant of Alfred and Margaret Anderson who lived in the area in the late 1800s. It is my understanding that they were originally from Mississippi and part of the Indian Removal Act. They are buried in the New Hope Cemetery along with other relatives. I wish I knew more. I'm from this area and find this history fastinating. The caption on the photo of the dog-trot house is a perpetuation of an error that was made about 70 years ago. There were two dog-trot homes in this area that were owned by members of the Ainsworth family. The one above was NOT the old Choctaw Agency building. The Agency building was the OTHER house. 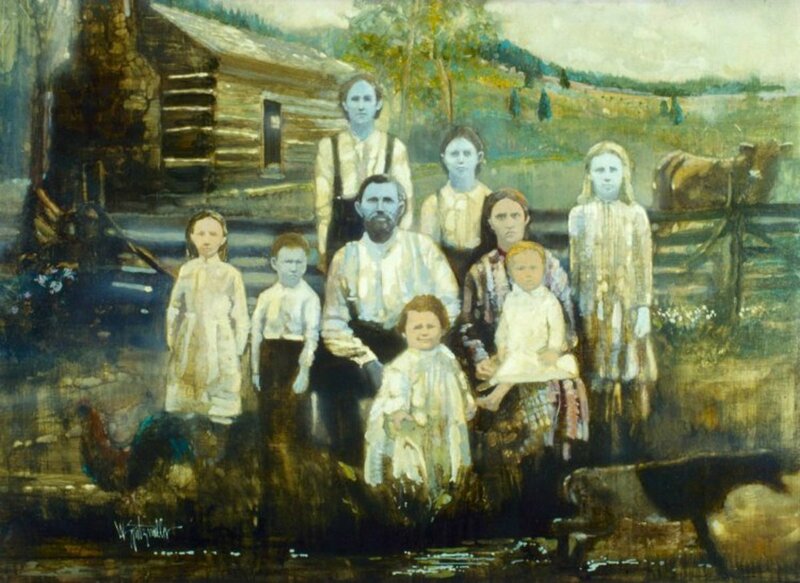 The picture is of the John Garrett Ainsworth family. I have been to the Skullyville Cemetery and it's a shame of how this historic area is kept, while the cemetery is kept up the whole area is trashed, there was a spring there you could get the best water and people would throw trash in it, with all the historical reconstruction going on why doesn't Oklahoma invest in some money to rebuild some of the houses that once stood there, it would maybe help with the economy in this area. There is also a black cemetery next to the Indian one and it's awful, where is the black community at about fixing this cemetery up? I LIVE IN THE CHOCTAW NATION AT IDABEL OK. AND KNOW ABOUT EAGLETOWN AND THE JONES FARM AND HAVE SEEN PETER COSNERS HOME, AT ONE TIME I LIVED IN LEFLORE COUNTY NEAR POTEAU OK, AND HAVE SEEN MANY THINGS REGARDING THE CHOCTAW CHIEF AND THEIR HISTORY, THE CHOCTAW NATION IS DOING GREAT THINGS FOR ITS PEOPLE AND THEY HAVE MORE THINGS PLANNED NOW. DEO VINDICE SCV MS. I love this history. In fact our home is located where the New Hope girl school was. We have collected many arrowheads and other items of the era. I've never been to Arizona, but it's definitely on my top places to visit! With Skullyville, there's simply too much history for it to all be included here. I went to the Skullyville Cemetery a few months ago just to poke around, and was amazed at how many graves were from the 1800's there. I can only imagine what kind of stories they would have to tell! I once lived in both Ft Smith,AR and Muskogee, OK and never heard of Skullyville. 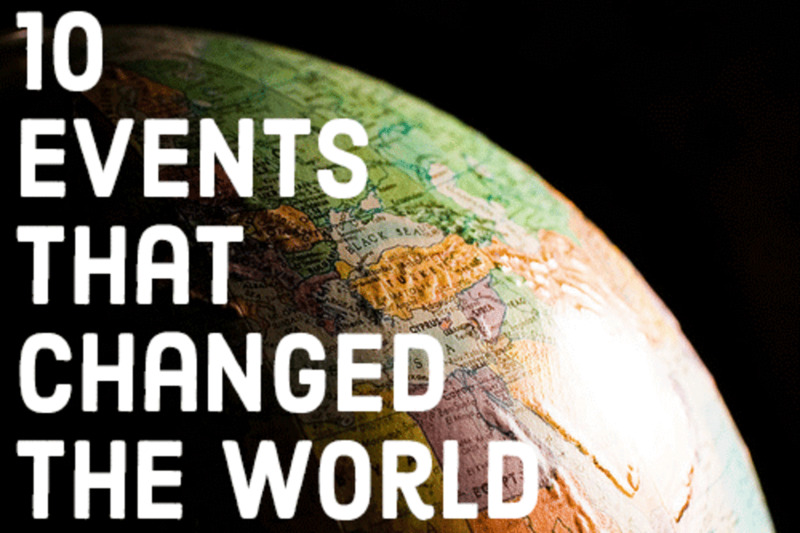 What interesting history. Very well written.